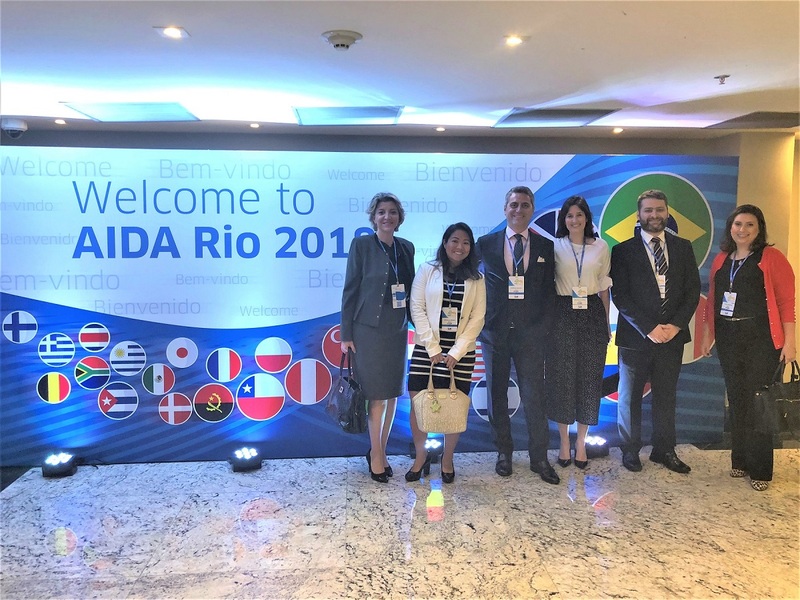 A team of Santos Bevilaqua Advogados, leaded by the partner Keila Manangão and including Ana Paula Costa, President of the National Working Group of Consumer Relations of AIDA Brazil, attended the AIDA XV World Congress that took place in Rio de Janeiro on October 11, 12 and 13th, and discussed important insurance and reinsurance issues. 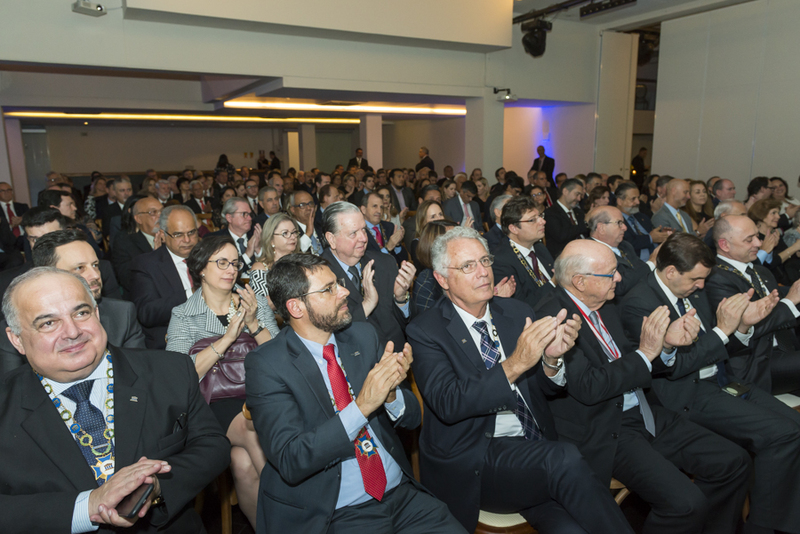 The Congress brought together international speakers and global working groups to debate topics such as environmental insurance, corporative governance and new technologies. 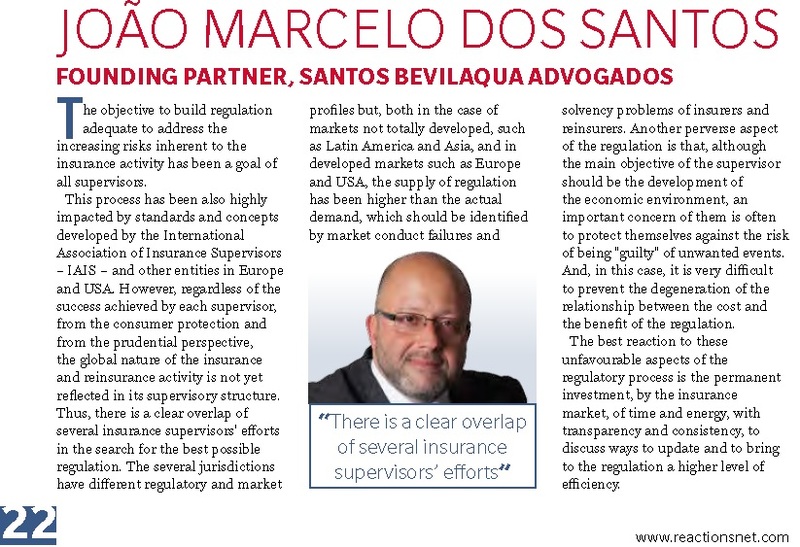 Santos Bevilaqua is working together with SUSEP (the Brazilian Insurance Supervisor) and the Brazilian Reinsurance Companies Association, on the elaboration of new regulations to develop a Latam insurance and reinsurance hub in Brazil. 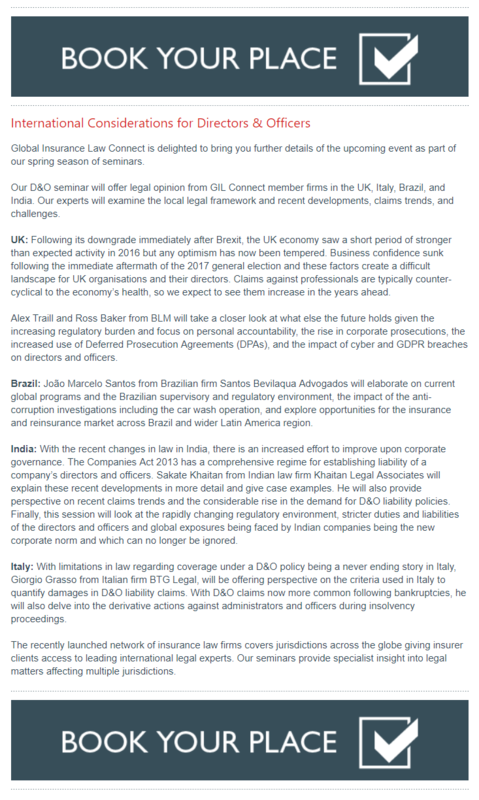 The firm has discussed the new resolution on risk transfers from abroad to Brazilian local reinsurers, likely to be issued in September 2018. 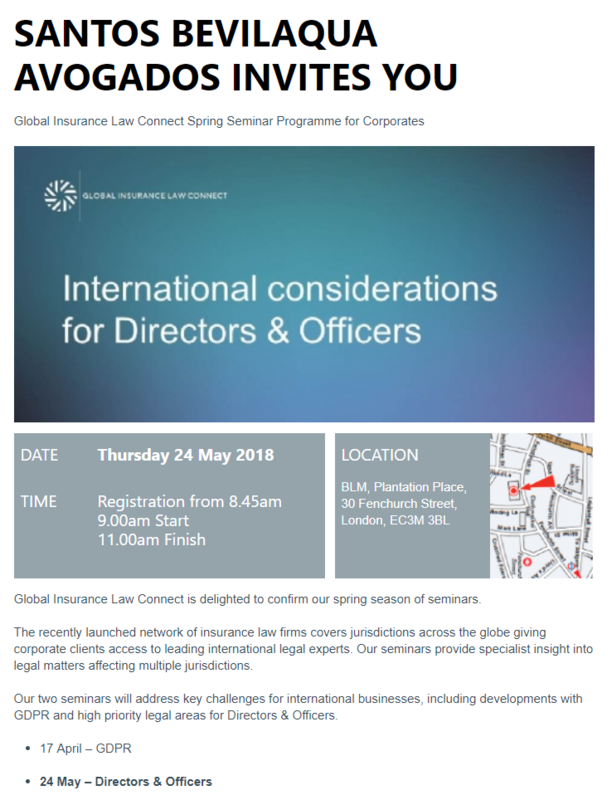 The firm is also discussing changes in the regulations to make feasible the securitization of risks through insurance linked securities in Brazilian capital markets. Our partner Juliano Castro participated in the special article on "Outsourcing in the Electricity Sector", published on 06.09.2017, in the "Energy Channel", which summarizes the main results of Law 13,429 / 2017 ("Outsourcing Law"). 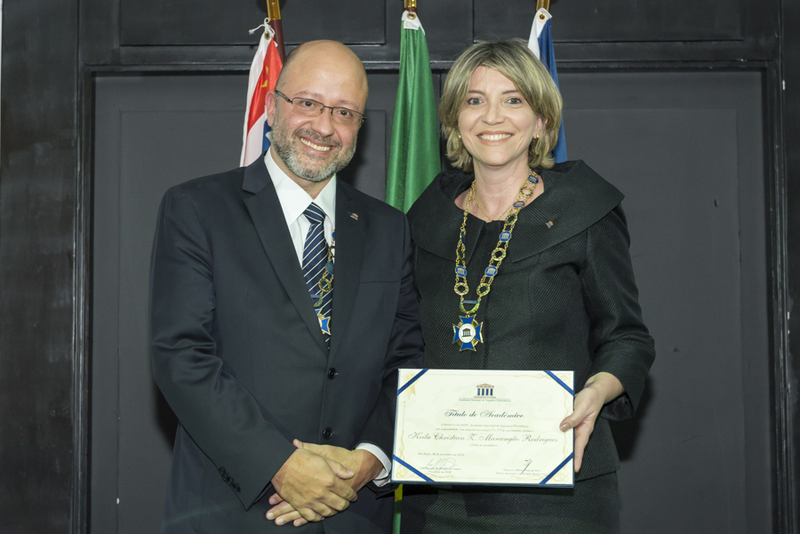 Our tax partner Julia de Menezes Nogueira launched, in December 2016, the book "Taxation of the Insurance, Reinsurance and Pension Plans Market". In it, she makes a detailed analysis of the insurance and reinsurance contracts, considering their peculiarities and related taxes, in order to discuss the taxation of insurers and reinsurers, paying special attention to IRPJ, CSLL, Contribution to PIS and COFINS (i.e., taxes on profits and revenues). Regarding pension plans, firstly, she delimits the configurative aspects of the entities that are engaged in such activities and the taxes that concern them. Then, she clarifies the functioning of the supplementary pension plans, concluding on their taxation. Click here and check out the book. 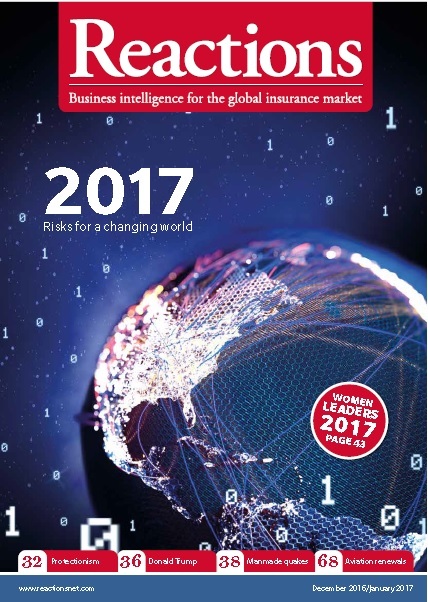 What are the Big Risks that will hit the re/insurance industry in 2017? That is the question Reactions posed to some of the global re/insurance industry’s senior and well placed figures. 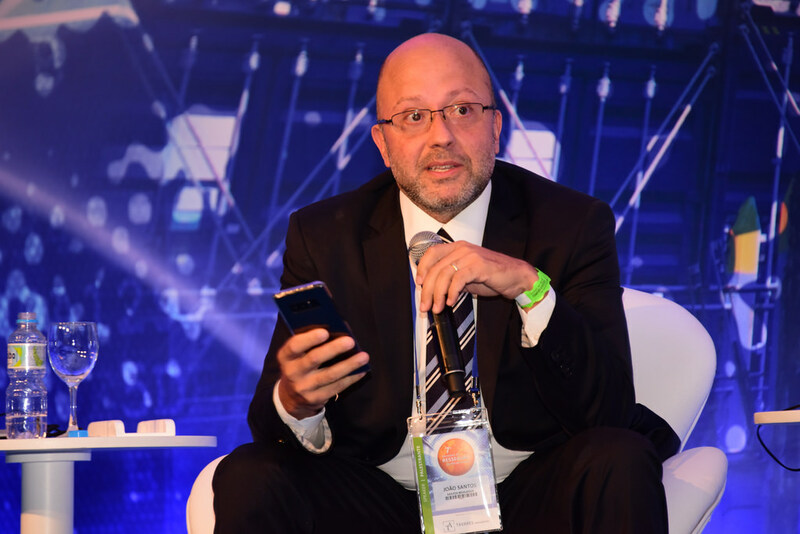 Our partner João Marcelo Santos had his testimony published, calling attention to the challenges faced by Brazilian regulation, to adapt to the growing risks of the global market. Santos has almost 20 years of experience and currently advises clients on regulatory, contractual and M&A matters."